Just started working on this so not a lot to show really. 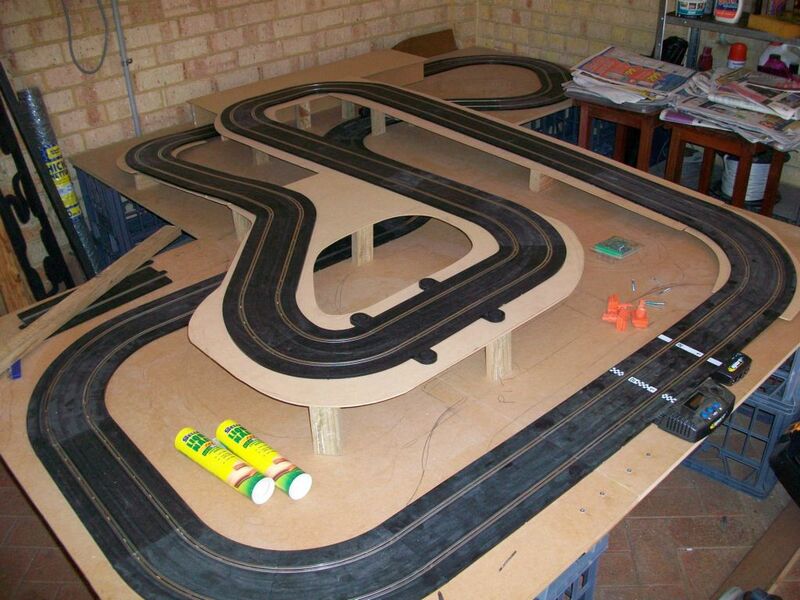 As long as it looks a bit more realistic than racing on a bedroom carpet, that's good enough. Anyway, I'll start with the track plan. It's a modified figure 8 with both lanes identical in length. 14M per lane. 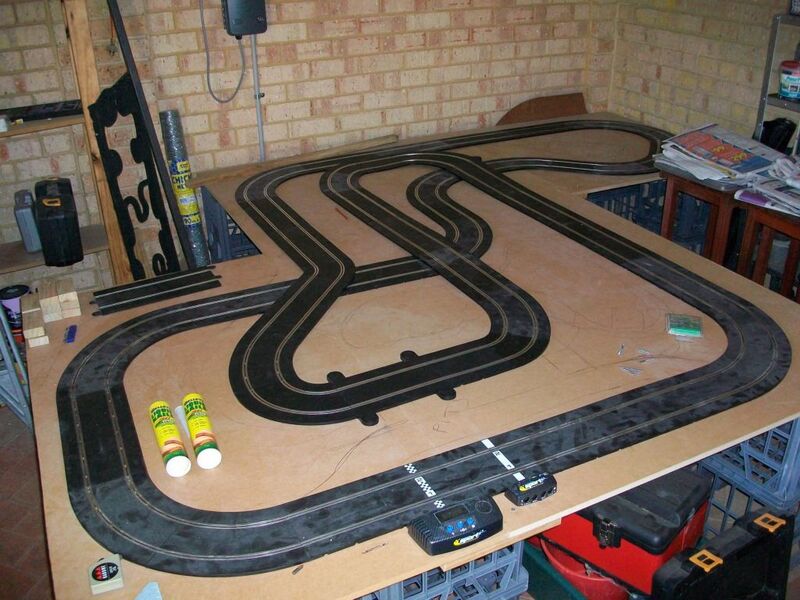 Here's the track layout on a board. 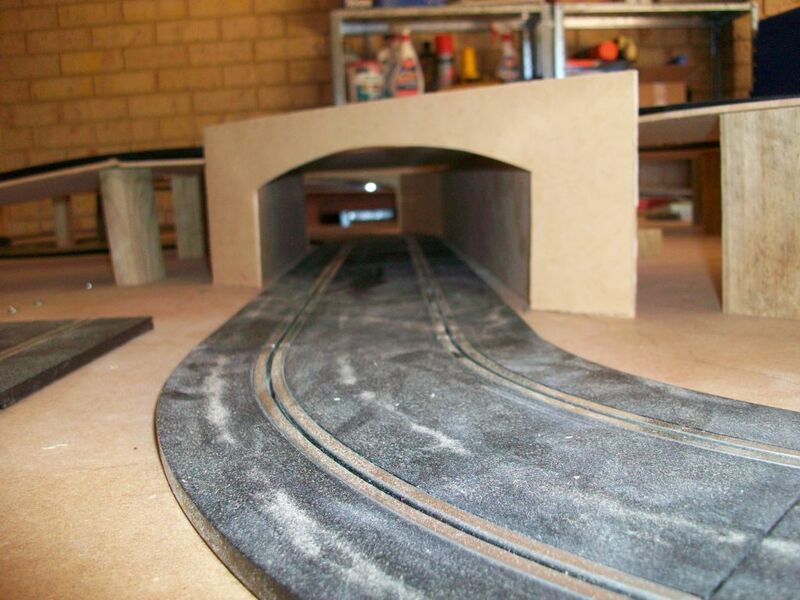 We didn't want a long skinny track but also needed access to all points so the kids can get derailed cars. That's when I came up with the idea of a Z shape. All corners can be easily reached and it still doesn't take up the whole garage as I need to get the car and kids bikes in ect. Getting the layout on the board. ...And after i got the track temporarily supported so we can check how it runs and if we like it. Nothing is actually permanently fixed yet but we're happy with the layout. Now comes my nightmare of making it look half decent. Welcome. And congratulations on taking the plunge. Like the layout. Great idea on the z layout for access. An unmodified car is like a blank sheet of paper, aching to be drawn on. Ren's 3 lane routed track with analogue pits and 2 car sudden death. That tunnel is still there but has been shortened. It's also only straight underneath so deslots shouldn't be a problem. BTW, here's a mock up of the tunnel and bridge entries.